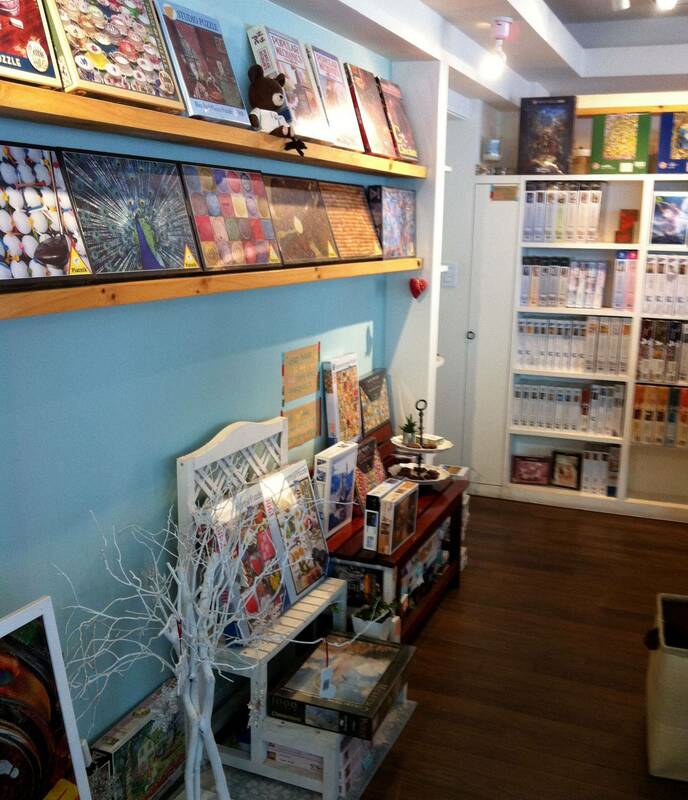 VeganBeats: Puzzle cafe in Hongdae! I all too often wander the streets on 홍대 in a drunken stupor, laughing with friends and soaking up the 소주 steamed streets. Always during the evening, and generally on weekends, I find myself in this area. Nearly every weekend, I state to myslef I won't end up there, but...it happens. 홍대 is a night thing, and a drunk thing. Without some drinks swishing in your gut, and a light hazy glow protecting your nose, the smell of drying vomit, mountains of trash, and rotting cigarettes is completely intolerable. But yesterday I found myself there during the day. I know there are a lot of cafes tucked in the corners of these college streets and I found one accidentally that tickled my fancy. 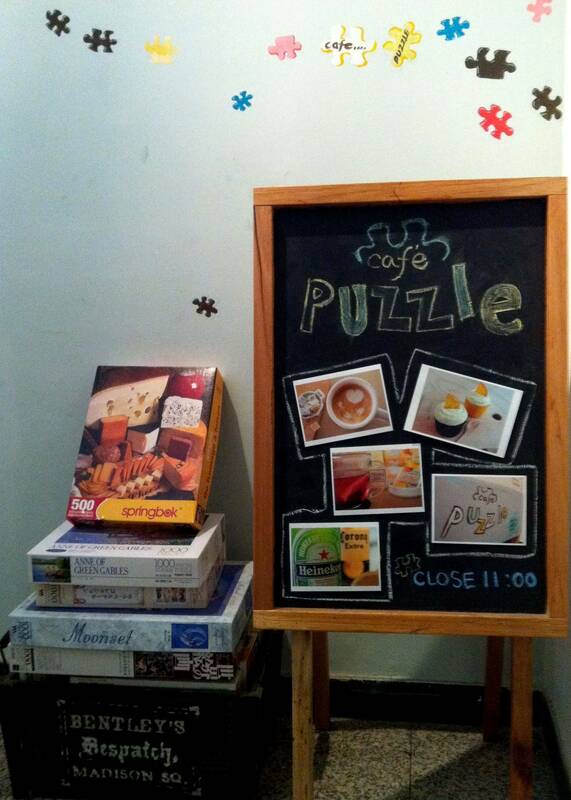 Cafe Puzzle! As a kid I would spend hours spoiling my OCD tendencies by figuring out puzzles and reorganizing colors, by shapes, by numbers of edges, etc. I love puzzles, I like concentrating, focusing, and keeping myself busy. It's also a great way to keep your brain exercising a little bit. This cafe is quaint and cozy! There are big windows that let in a lot of sunlight and big comfy love-seats. When you order a drink, you can choose from hundred of puzzles and just play around! 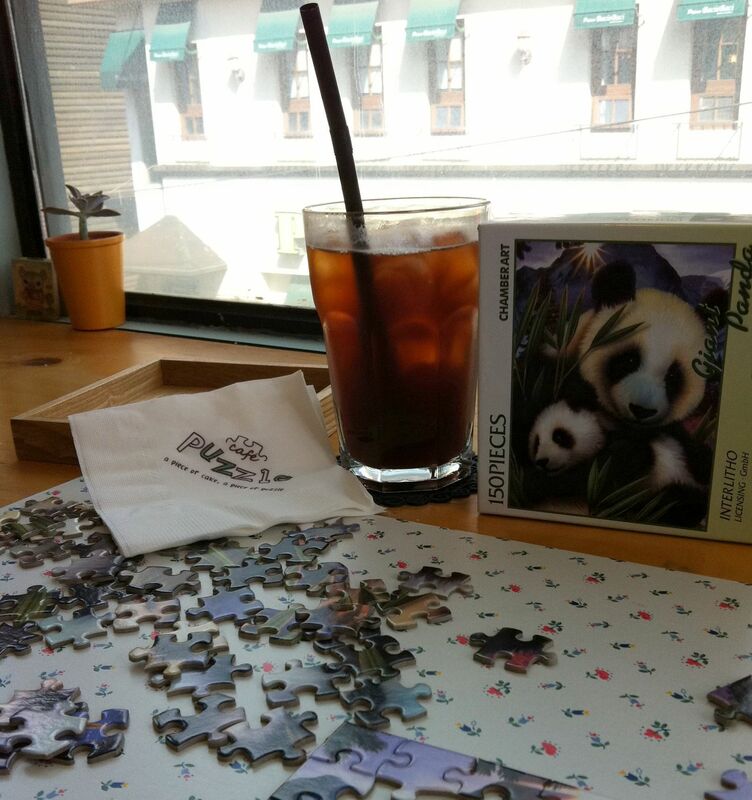 I got an Americano and a panda puzzle, and went crackin. 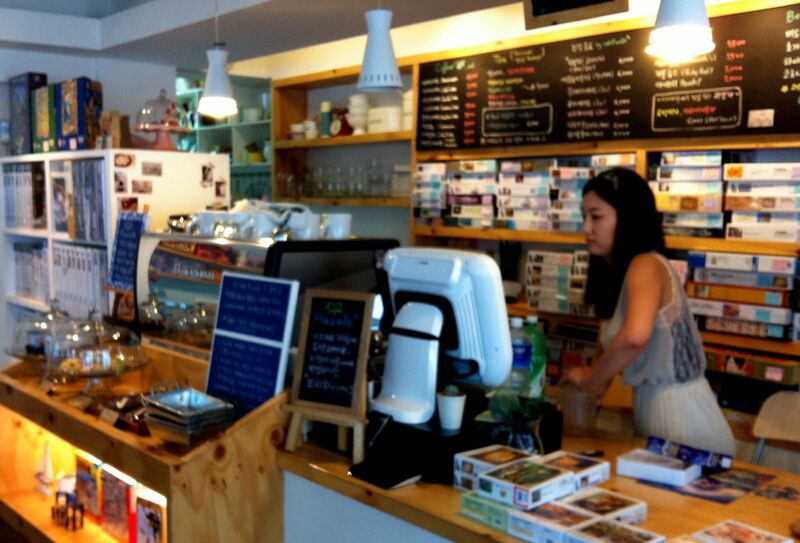 The Americano was nice, not very strong and a bit pricey (5,000W)! Regardless...I think it was worth it, the cafe is a great idea! Directions: Hongdae University station, line 2, get out at exit 9. Take a left and walk straight, you will see Man Studio, take that left and walk straight. 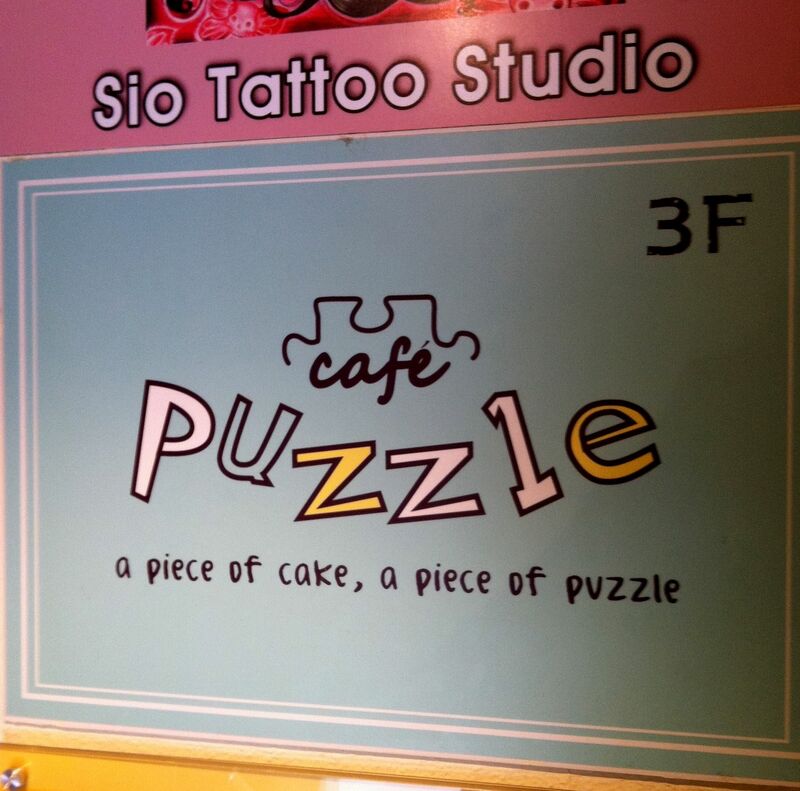 Across from Primo Bacio Baci, Cafe Puzzle is on the 3rd floor!